Join us in in the main marquee at Carlisle Unity Festival Saturday, July 8th 2017. 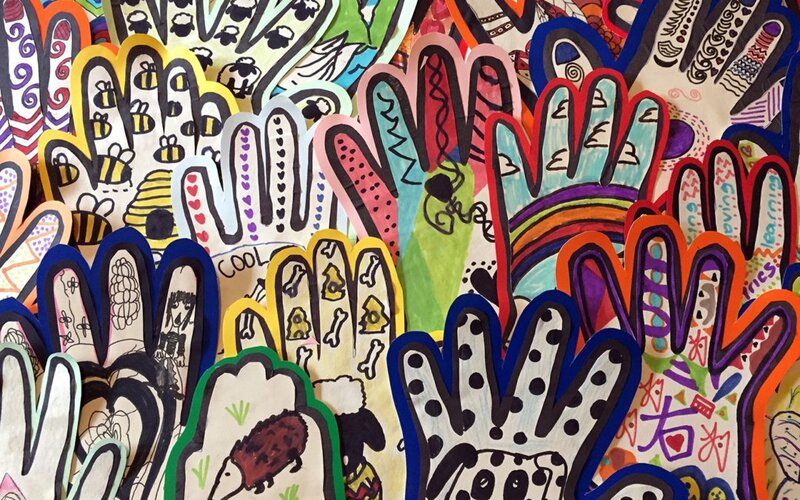 Design your own colourful hand in our Hands Together sessions and win prizes in the Treasure Hunt! A huge thank you to everyone who voted for Creative Wellbeing in the Community Choices competition. You helped secure vital funds for our exciting Creative Energy project. Hundreds voted for us to expand our Creative Wellbeing offer and support even more people across Cumbria. 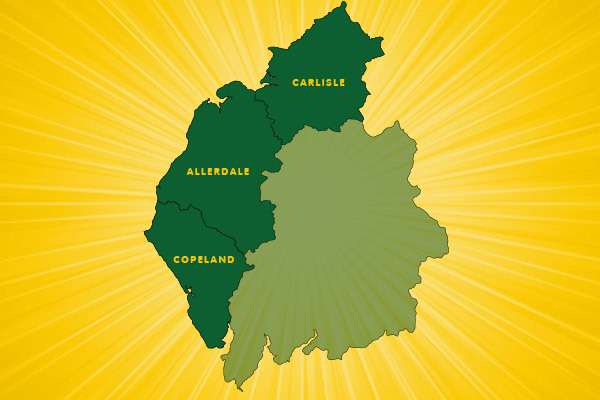 Planning is now underway for activities in Allerdale, Carlisle and Copeland later this year. Our venue in Carlisle will be Carlisle Train Station. If you know of, or work at, a venue in Allerdale or Copeland that would be interested in hosting activities, please get in touch. Thank you to everyone who has made this project possible! We’ve been shortlisted for funding that would help us deliver free creative activities in West Cumbria! We would also be bolstering our delivery in Carlisle too so, wherever you are, it’s a great time to support us. It’s a simple process, register with your email (and a password you don’t need to remember! ), you’ll receive a confirmation email, click the link in that, then another email with a link to the voting page. There are 10 drop-down menus, we’re Creative Wellbeing Creative Energy Allerdale, Copeland, Carlisle under the Improving Cumbria category. It’s simpler than it sounds. If you’re still unsure about what we do and of the impact we have on the members of our community, spend a few minutes listening to last week’s Up For Arts show on BBC Radio Cumbria. Broadcaster Jennie Dennet came along to a Friday session and the stories she recorded, well, speak for themselves. Are you Up For Arts? 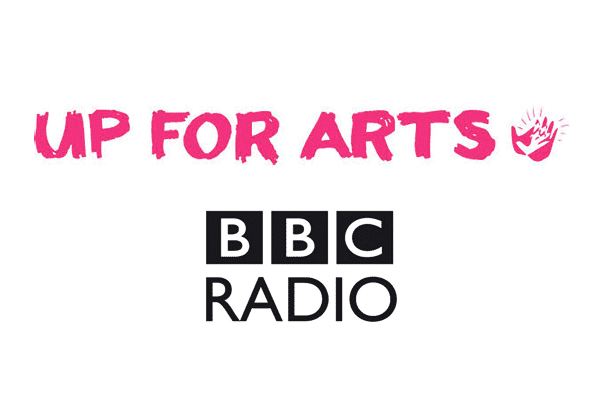 BBC Radio Cumbria’s Jennie Dennett will be recording a Creative Wellbeing session for her Up for Arts show on Friday 31st July at 11am in the Creative Wellbeing Rooms at Carlisle Train Station. We are looking for everybody who has been involved in Creative Wellbeing, in any way, to come along and share your story about what Creative Wellbeing has been for you, how you got involved or how it has supported someone you care for. Come on down to support us and hear your voice on the radio! Well, it’s all over now… and it was fantastic! Our first foray into West Cumbria was an unqualified success. We had a smashing time, met loads of lovely people and delivered, even if we do say so ourselves, many excellent activities. 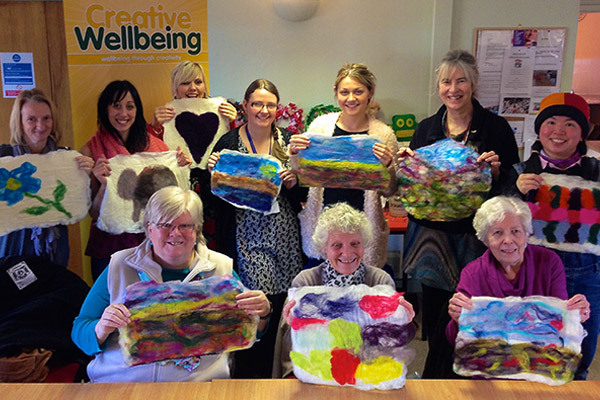 A full ten-week programme in Cockermouth, Maryport, Whitehaven and Cleator Moor has helped re-affirm our conviction that Creative Wellbeing is needed and welcomed wherever we can deliver it. Many, many thanks to all the people who participated, the venues who graciously hosted us and to Cumbria County Council for funding us — we couldn’t have done without you! If you can help, or know someone who can, please get in touch so we can go west again. It’s hard to believe, but we’ve only three weeks to go before the end of our initial West Cumbria Sessions. We’ve always room for more participants so, if you know anyone who might like to come along to a variety of creative sessions in Maryport, Cockermouth, Whitehaven and Cleator Moor, let them know. Don’t forget, we have three sessions every week in Carlisle too! As a celebration of our time at the Old Fire Station we have arranged a week of activities and our very own Pop-Up Restaurant! There’ll be a Pop-Up Café everyday 11am-3.30pm to help sustain you through a variety of daily activities. On Saturdays 17th & 24th we’ll be Making Peg Animals plus, in the evening, our Pop-Up Restaurant will be open 6–8pm: 17th is Finger Food, 24th is Italian! All monies raised will be invested into providing free activities in the Carlisle community and the development of future work. We’ve secured funding to take the project the Allerdale and Copeland. We’ll be taking Creative Wellbeing to Wigton, Frizington, Maryport, Whitehaven, Workington and more to be confirmed. We’re still finalising the timetable but we’ll keep you posted. Sign up for our newsletter and tell your friends in the west to keep an eye open. 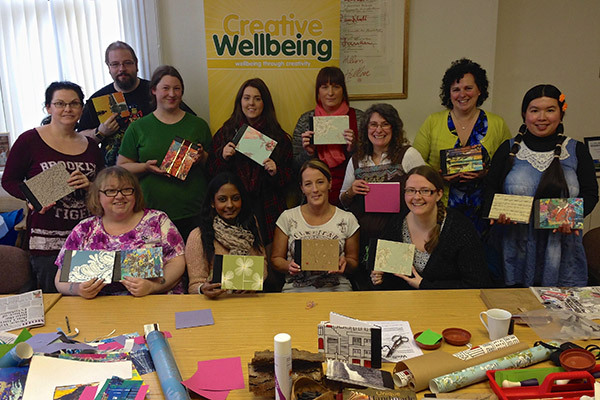 Creative Wellbeing is a non-profit social enterprise working with individuals, communities and businesses since 2012. 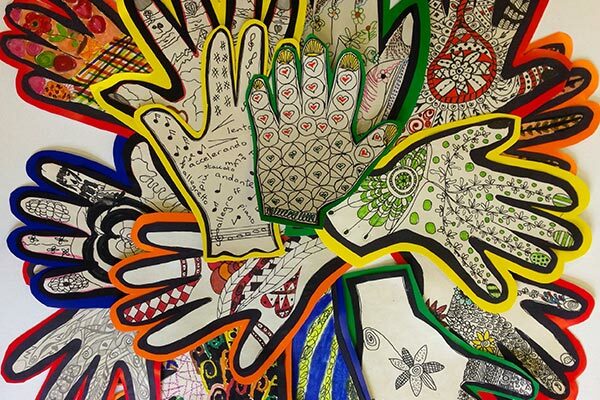 We know that creativity can enhance personal and community wellbeing, help people develop resilience and problem-solving skills, be a vehicle to meet new people, and to think about things differently. We think everyone should have an opportunity to flourish and prosper—to thrive together. We now deliver nationally and are proud of our Cumbrian roots. We’re looking forward to promoting creativity and wellbeing everywhere for another five years, and beyond. Many thanks to everyone who has participated and supported us. We never SPAM or share your info with anyone!